When I saw the news images of Pulse, I felt connected to the Orlando family I had never met. Growing up a lesbian in Kansas City, I understand how our “Pulses” are where we feel at home with our chosen families. To be invaded in our safe space cuts to the core of faith and trust in our fellow humans. 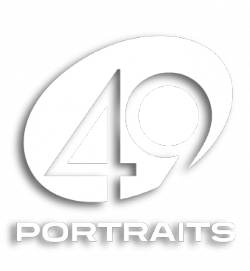 While on Facebook, I saw that a coworker of mine from Austin, and a friend from Kansas City, had both posted about the 49 Portraits project. I saw that artists were creating portraits of the victims to give to their families. Moved, I clicked the second time I saw the headline. I thought this had already happened and did not realize that it was a call for artists. I thought it was already a well-known project because two of my friends in different states, who don’t know one another, posted the same thing. It turned out, that my friend from Kansas City went to University in Massachusetts with the Project’s founder, Mia Merlin. My coworker in Austin? She’s Mia’s sister. This was a happy coincidence. I had just moved to Seattle a few weeks prior. One of the folks I supervised, I only had the chance to speak with a few times on the phone. He had to leave his job to go help take care of his family in Florida. His cousin was killed at Pulse. When I emailed Mia and asked if I could participate, she sent me a list of folks that other artists were going to do portraits of. There were only 11 people who did not have an artist assigned. One of the 11 was my coworker’s cousin, Eddie “Brycen” Jamal Droy Justice. I am thankful to have been led down this path and to have been a part of honoring these beautiful souls and their families- all their families. I hope this project can serve as a seed of renewed faith and trust in our fellow humans.